Can Vyvanse Abuse and Addiction Be Treated? Vyvanse is a prescription stimulant - meaning it has a mechanism of action similar to drugs in the amphetamine class (also known as "amphetamine-type stimulants" or ATS). Vyvanse is used to treat attention deficit hyperactivity disorder (ADHD). Because of its stimulant properties, Vyvanse carries a high risk for abuse and dependence. Vyvanse addiction can be treated with a combination of different types of therapy and detox. Of course, detox is the first step in the treatment process to rid the body of all traces of Vyvanse. Once detox has been completed, you will begin with psychosocial therapies and counseling to help with the underlying causes of your Vyvanse addiction. Cognitive behavioral therapy (CBT) and contingency management (CM) have been shown to be effective treatment options for Vyvanse addiction, and both of these therapies can be administered in either inpatient or outpatient treatment settings. It is not always easy to identify when you have a problem with Vyvanse. Usually, the individual struggling with addiction is the last to know that there is a problem. Fortunately, there are a few questions you can ask yourself to help determine if it is time to seek help. Don't Wait to Find Help Vyvanse addiction can turn you into someone you don't know. Find a treatment center now and reclaim your life. Does your Vyvanse use interfere with your work or school? Does Vyvanse addiction affect your relationships with friends and family? Are you spending an ever-increasing amount of time and resources seeking Vyvanse or using the drug? Have you made some bad decisions leading to violence or criminal acts while under the influence? Do you use Vyvanse to improve or enhance performance in school or athletics? Do you binge on alcohol along with the Vyvanse? College students and adolescents are particularly vulnerable in this category. Residential treatment centers usually require patients to live in-house during treatment (30 days to 12 months, depending upon the center and addiction severity or treatment needs). Inpatient treatment has one distinct advantage: round-the-clock medical supervision. Your Vyvanse detox will be closely monitored and medications may be administered as withdrawal symptoms arise to keep you comfortable during detox. Residential treatment centers also offer psychosocial therapies, group sessions, and re-entry training to ease your transition back into society after treatment. Inpatient residential treatment is, however, more expensive than many outpatient treatment options. You may also be prohibited to leave the treatment center to continue working your current job. Inpatient (or residential) treatment includes baseline residential treatment, as well as luxury/private and executive treatment options. As described above, all inpatient options are live-in centers that provide complete care for all of your Vyvanse addiction needs, from detox to recovery and re-integration. Luxury/private rehab is more expensive than normal residential treatment, but it typically boasts more amenities (similar to those of a resort). Executive rehab is frequently the most expensive option, but caters to executive and celebrity clients that require the utmost discretion and privacy during their treatment, in addition to accommodating the continuation of important business matters throughout the treatment duration. Many of these inpatient options include 24/7 medical supervision, which is one of its main advantages and significantly reduces the discomfort of withdrawal. Remember that outpatient care is available, cost efficient, and may be a better option for some Vyvanse addicts, depending upon individual circumstances. Finances and a strong family support system usually dictate whether a user chooses inpatient or outpatient treatment, and both options have documented success. 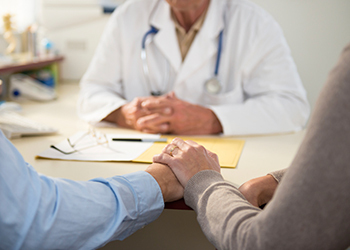 Outpatient care may actually include a brief inpatient stay during detox, after which the patient transitions to outpatient counseling and therapy. Anti-emetics may be used to combat nausea, while anxiolytics may be used to help with anxiety. Modafinil (marketed as Provigil) is a medication with low abuse risk used for promoting alertness and wakefulness, especially in individuals who work irregular shifts and/or very long hours. It is often prescribed in place of amphetamines or methylphenidate, with the additional prospect of reducing the use of Vyvanse/other amphetamine. If your dependence on Vyvanse/amphetamine was the result of treatment for depression which did not respond to other medications, there is established evidence showing that augmentation of antidepressants (e.g. Prozac, Celexa) with other medications for mood stabilization can help. Examples of augmenting medications include lithium and thyroid hormone supplementation. Cognitive behavioral therapy (CBT) has been shown to be an effective therapy for Vyvanse addiction. It works by identifying the triggers that lead to drug use, and helping you deal with these triggers in a healthy way, abstaining from drug use. Basically, CBT teaches you coping skills to deal with the stresses in your life. CBT has been shown to be effective in treatment retention and abstinence, with more frequent engagement in drug-avoidance activities. It is also compatible with pharmacotherapy and other counseling practices. Contingency management (CM) is another option for Vyvanse addicts. It is based on a model of positive reinforcement and rewards abstinence--which is measured by clean urine tests--with vouchers that can be redeemed for desirable goods or services. In the absence of approved medications for amphetamine use, multiple CM studies have demonstrated retention in treatment and improved abstinence from drug use. In clinical trials targeting psychostimulant use with CM, patients stayed in treatment, achieving greater durations of abstinence, when compared to those in standard treatment alone. Other helpful therapy options may be family therapy or a group counseling setting, depending upon your individual circumstances (remember, addiction is a "family disease"). Compared to Al-Anon (support for family members of addicts) and the Johnson Institute style of intervention to get family members into treatment, the Community Reinforcement and Family Training program (CRAFT) had the highest overall treatment rate (64%). Multisystemic Family Therapy (MST) has developed strong support for its use due to its long-term effects on drug-using and violent juvenile offenders. Usually, a combination of counseling and therapy options yields the best outcomes. Partial hospitalization treatment is an option for Vyvanse addicts and is considered a combination of inpatient and outpatient treatments. It may also be called "day treatment," which indicates that patients spend several hours per day at the treatment center and return home at night. This option provides the structure of inpatient treatment, without the strict requirements of living in the facility. IOP is the perfect treatment option for those with a less severe addiction profile who wish to continue working their current job during treatment. Partial hospitalizations are often accompanied by intensive outpatient treatment, including therapy and counseling specifically shown effective for Vyvanse addiction. Dual diagnosis is quite prevalent within the population of individuals with Vyvanse addiction, since the drug itself is used to treat a neurological/psychological disorder (ADHD). In addition, Vyvanse addicts may also suffer from depression, anxiety, or bipolar disorder. This dual diagnosis complicates treatment slightly because of the need to control the symptoms of the underlying psychiatric illness while detoxing the user from Vyvanse. Both clinical research in addiction and health services research have resulted in a greater integration of substance abuse treatment and treatment of co-occurring illnesses. 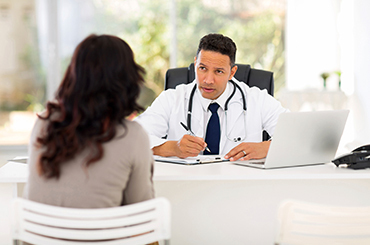 As behavioral health care and drug addiction treatment move more into primary care settings, the capability to treat co-occurring disorders will become the expectation of these delivery systems as well. If you received a dual diagnosis from a mental health professional before or during Vyvanse treatment, you should expect to attend some extra counseling sessions to address the mental health issues, while possibly being prescribed additional medications to treat the underlying psychological disorder. It is important to seek treatment for your Vyvanse addiction as soon as you realize it is interfering with your daily life, whether school, work, home, family, or friends. The sooner you seek treatment for Vyvanse addiction, the less harm will be done in the long run. To avoid the potentially detrimental social, physical and mental health effects of Vyvanse abuse, please seek treatment as soon as possible. Call 1-888-993-3112Who Answers? today. With the help and support of your family, friends, and qualified treatment specialists, you can feel confident about your choice to seek treatment. Selecting the best Vyvanse treatment can be stressful, as there are many factors to consider. However, with the help and support of your family, friends, and qualified treatment specialists, you can feel confident about your choice to seek treatment. Deciding what is important to you during treatment and how much money you have to spend are the first steps, as these dictate the type of treatment you should pursue (inpatient vs. outpatient, continuing to work, living at home, etc.). You must also choose how long you want (or need) to stay in treatment, and what other amenities are important to you. A combination of these factors will help you select the treatment center that beset suits your individual needs. Please call to speak with one of our treatment support specialists today at 1-888-993-3112Who Answers? to explore the treatment options available in your area and choose the best Vyvanse treatment that suits your individual needs. treatment for amphetamine-type stimulants (ATS) use disorders. Cochrane Database of Systematic Reviews, Issue 10. Carroll, K.M. (2011). Chapter 44: Cognitive Behavioral Therapy. In Ruiz, P., and Strain, E., eds. Substance Abuse: A Comprehensive Textbook, Fifth Edition. Philadelphia, PA: Lippincott, Williams & Wilkins, pp. 238-254. Fals-Stewart, W., and Lam, W.K. (2011). Family/Couples Approaches to Treatment Engagement and Therapy. In Ruiz, P., and Strain, E., eds. Previously cited. Higgins, S.T., and Silverman, K. (2008). Contingency Management. In Galanter, M., and Kleber, H.D., eds. The American Psychiatric Publishing Textbook of Substance Abuse Treatment. Fourth Edition. Arlington, VA: American Psychiatric Publishing, Inc.
Hill, K.P., and Weiss, R.D. (2011). Chapter 16: Amphetamines and Other Stimulants. In Ruiz, P., and Strain, E., eds. Previously cited. Kosten, E.R., et al., (2008). Clinical Management: Cocaine. In Galanter, M., and Kleber, H.D., eds. The American Psychiatric Publishing Textbook of Substance Abuse Treatment. Fourth Edition. Arlington, VA: American Psychiatric Publishing, Inc.
Mee-Lee, D., et al., eds. (2013). The ASAM Criteria: Treatment Criteria for Addictive, Substance-Related, and Co-Occurring Conditions. Third Edition. Chevy Chase, MD: The Change Companies. Philip, N.S., et al. (2010). Pharmacologic Approaches to Treatment-Resistant Depression: A Re-examination for the Modern Era. Expert Opin Pharmacother 11(5):709-722. Stitzer, M., and Petry, N. (2006). Contingency Management for Treatment of Substance Abuse. Annual Review of Clinical Psychology 2:411-434.